Meantime, Poroshenko plastered the entire Ukraine with billboards depicting him and Putin. The slogan he runs under: ‘It’s either me or Putin.’ I guess people heard him loud and clear and… Putin won. Only 16% voted for Poroshenko in the 1st round. And the consensus is that several percentage points were blatantly added to his real numbers, so he would bypass Timoshenko and get into the second round. This means that 84% voted for Putin. CONGRATULATIONS, Vladimir Vladimirovich! But 1st round defeat wasn’t enough. The new Putin vs. Poroshenko billboards all over Ukraine say: ‘April 21, final choice!’ Putin already won, but let’s confirm it again on April 21, lol. Btw, per polls the vast majority of those who voted for Timoshenko and Boiko will vote for Zelensky, increasing his lead. As I was saying before, Zelensky isn’t by any means a great solution to Ukraine problem – I simply don’t trust him. But he is still a bit better than the drunken ‘cynical Bandera,’ as Poroshenko calls himself. Hello, friends! Now that my book is published, I’ll be returning to my regular blogging schedule. Az and I also plan some hot new Earth Shift Podcasts. Stay tuned! THANK YOU FOR STICKING WITH ME AS I WORKED HARD ON RELEASING MY BOOK! THANK YOU FOR ALL YOUR WONDERFUL SUPPORT! As always, I’ll make sure I reward most those who have been loyal supporters and followers. Stay tuned for more news in March and April! Thank you for all your most recent purchases! And many thanks for the second review onAmazon.com! I didn’t go for initial reviews with any professional reviewers and fellow authors, as most authors do in the beginning! Reason: I decided that just like I ask for crowdfunding by my readers and followers to keep my message pure, the same way I want to ask my readers to simply post your honest opinions of my book on Amazon.com and elsewhere, after you’ve read it! I hope you all enjoy it and I hope you consider posting your review! As promised, I’ll have a separate post, in which I’ll explain more about reviews and where else you can copy and post yours. It’s coming in a few days! I am also planning a live virtual book signing and Q&A. I’ll invite those who purchased and reviewed my book. This event may be coming in late March and/or April. To be invited you need to have purchased my book and posted a review on Amazon.com and at least one or two other places. It’s easy to do. Please stay tuned for the announcement, links and info! MORE UPDATES SOON! THANKS SO MUCH! Ukraine presidential election candidates: first row left to right: Petr Poroshenko, Yulia Timoshenko, Vladimir Zelensky; Second row left to right: Yury Boiko, the infamous Nadezhda Savchenko, who is currently in Ukrainian jail (as predicted) after being released from Russian jail. A record total of 44 candidates are running. That many candidates were necessary to manipulate and dilute the field as much as possible. & the Dark Horse Zelensky? In my new book, Geopolitical & Geo-Economic Quantum Calibrations I have an extensive chapter on Ukraine, which was written before these latest polls and events. The calibrations of Poroshenko, Ukraine as the country in general and Ukraine’s economy are exceptionally low and very telling. I also said a few words about Poroshenko’s rivals, Yulia Timoshenko and Vladimir Zelensky. NOTE! THIS POST ISN’T AN EXCERPT! THIS IS NEWEST UPDATE, IN ADDITION TO THE BOOK! For all revealing calibrations, including the country, Poroshenko, army, economy, solvency and sovereignty, please refer to UKRAINE chapter in the book! The video update from Vesti is very telling. Poroshenko is losing it, knowing he is risking not only to lose elections, but also his freedom, and possibly, life. Meantime, the dark horse of Ukraine’s elections, a stand-up comedian and actor Vladimir Zelensky, is ahead in the polls. To increase his ratings Poroshenko tried every possible and impossible trick in the book: the failed scandalous religious schism; provocations in Black/Azov Sea; breaking up any remaining ties with Russia and calling it aggressor; attempting a new Donbass war escalation, which he was forced to fold after Putin’s warning; rallying the support of the West against Russia by various fake accusations. No matter what he did, his ratings increased only marginally. What’s more, the EU, whose support he desperately needed, abandoned him early on after all his and government’s lies the Europeans didn’t appreciate. The fatigue with Ukraine and anti-Russian sanctions in Europe is great, and the new governments in Austria and Italy are pushing for change. Due to the importance of Nord Stream-2, even Merkel has suddenly rediscovered her reason, patriotism and even courage! All this doesn’t bode well for the Kiev regime and Poroshenko. **What I am saying here is all described in detail in the new book (including detailed calibrations, analysis and predictions): look for chapters on Germany, Austria and Italy, as well as Hungary. Overall, I have calibrated 21 countries in Europe, 16 expanded and full, and 5 shorts! Poroshenko’s latest blow was truly devastating. Recently a leak was circulated that the US won’t support Poroshenko any more. Based on recent US actions, hints and analytical publications it does appear the background is being promptly prepared for ditching him. Incidentally, I predicted and talked about this possibility three months ago in my Earth Shift Podcast 4 (see video below)! Even the US is tired of Poroshenko and they are desperately looking who to replace him with. Poll results: I don’t know to what degree the polls can be trusted in Ukraine; it’s very possible their results are ordered by Poroshenko himself and/or by foreign players to influence public opinion. That notwithstanding, polls do convey a modicum of truth. For one, just about everyone in Ukraine hates Poroshenko (and I’d say outside of Ukraine, too). In the book I describe Poroshenko as a giant predatory ‘black hole,’ zapping energy from his surroundings. Poroshenko also has dubious distinction of being THE WORLD’S LOWEST CALIBRATED COUNTRY LEADER! And Ukraine currently, the country I can’t recognize any more, is one of the world’s lowest calibrated as a whole. Same is true for economy, solvency and sovereignty. Unfortunately, there really aren’t any ‘good’ politicians or bright stars in Ukraine today. Anyone elected will be a sort of ‘black hole.’ All the decent ones were pushed out, and the worst were pushed to the top. This includes Yulia Timoshenko, who was initially leading, but is now trailing in the polls in the #3 position, and who is calling for Poroshenko’s impeachment. Not that Yulia Timoshenko is much better, mind you, but there is still a tiny sliver of hope she may be just a little reasonable, if elected. At least she once worked with Putin in a somewhat civilized manner. The problem is, in the current spread Ukro-Nazis won’t let her work with Russia anyway, unless Ukraine is fully cleansed of the radicals, who have been given too much power between 2014 and 2019 due to the low calibration of the country and its elites. Poroshenko and his trans-Atlantic bosses truly created a monster. Also, the interesting thing about Timoshenko is that many of those in the Rada may be afraid she will go after them, if elected. Terrible corruption is extremely widespread, and many in the positions of power have much to worry about. They are doing everything not to allow Timoshenko be elected. Timoshenko also has her own people embedded in the system and she possesses good administrative resource to stake out her power, once elected. She is guaranteed to replace current ‘fat cats’ with her own, re-starting a vicious cycle of corruption and leaching off what’s left of the poor Ukraine, but with the new gang. In the past she was called the ‘gas princess’ due to the fact that she very successfully fleeced Ukraine’s transit gas pipeline profits. This is why everyone in Poroshenko’s circles is worried; this is why everyone in any position of power works against her, trying to prevent her election. In general, every ‘color revolution’ and every change of power in Ukraine has been simply a passing of the baton to the next gang of thieves and corrupt bureaucrats. In my book Geopolitical & Geo-Economic Quantum Calibrations, among many other things you will read about peer groups and peer-to-peer comparisons. In the EURASIA/Russian World/Post-Soviet Space segment historically the closest peers are Russia, Ukraine and Belarus. With this background, is there any way Ukraine can be saved by simply electing a different president? ABSOLUTELY NOT! The corruption, violence and Ukro-Nazis became too deeply ingrained in the society. The place is too far gone. Check out this, for example: Classy Ukrainian Thugs Throw Trash Bags and Condoms at Russian Consulate in Odessa. What will continue happening is what I first said in the beginning of 2014: RUSSIA WILL SLOWLY, SYSTEMATICALLY CONTINUE WORKING ON TURNING UKRAINE AROUND. The timeline has changed: due to the extreme devastating loss of QC and CHI everything gets postponed dramatically. It’ll take a lot longer for Ukraine to cleanse itself, and frankly, it’s such a mess that it stopped being Russia’s priority. Instead Russia will continue focusing on the rest of the world, building alliances, working on strengthening other countries, working with those leaders with whom it’s possible to work, and like a wise man of old, sitting by the river and waiting for the corpse of the enemy to float by. One – Poroshenko’s – will likely be floating by soon, and that’s just a start. But what will happen after Porohenko is gone? Will it get any better? The frontrunner Vladimir Zelensky is a true dark horse, who wasn’t taken seriously until very recently despite his top showing. He is a comedian/actor by trade, popular ex-KVN player (KVN is USSR and Russia’s No.1 trademark international TV game show, running since 1961). Zelensky is a Russian-speaker, who made astronomical amounts of money on the Russian shows and movies. Between 2014 and 2018 he supported war against Donbass and donated to ATO, making some anti-Russian statements. He still runs a profitable business in Russia. Actually, all these Ukraine hypocrites have assets, investments and businesses in Russia. Any Ukraine artists and musicians worth their salt make most of their money in Russia. Why? Because, as the saying goes, that’s where the money is for those who remain, no matter how they deny it, a part of the Russian World! Zelensky doesn’t really have any principles and he is financed by Kolomoysky. If it will be more profitable to deal with Russia, he and his puppet master will deal with Russia, if not, he’ll flip-flop in a jiffy. These people are extremely cynical, but ironically, someone like this gives a certain hope that provided Putin and his people continue playing their master chess well (and there is every indication they will), eventually some sort of improvement is possible with Ukraine. Generally, Zelensky can be many things to many people. Personally, I always disliked him: a very slippery little individual. And he continues proving he is all that. Several days ago Zelensky said that he would sit down to talk and negotiate with Putin, if elected. This statement was supposed to appeal to the Russian-speaking electorate of the south and east. Immediately after, he started getting threats from Ukro-Nazis, and he promptly flip-flopped, saying that he would never talk to Russians, who are the enemy. This occurrence kind of reminds me of Trump and his infamous ‘straitjacket.’ The rabid Russophobes and Ukro-Nazis, who took over the entire Ukraine, will do everything to prevent good relations with Russia from being restored. And Ukraine overseas sponsors will do the same. One thing Zelensky seems to be confident of: if he is elected, Poroshenko will go to jail. This kind of statement is safe to make as everyone truly hates the incumbent. 1. Zelensky, secretly financed by oligarch Kolomoysky, who is a sworn enemy of Poroshenko, has gathered around him much of the protest electorate. The fact that a protest/alternative candidate is the highest rated in Ukraine speaks volumes as to how people really feel. 2. Unlike Yulia, who is perceived by many in positions of Ukraine power as a threat, Zelensky, with his less than serious expressions and jokes, isn’t. Moreover, it’s being calculated that Zelensky, unlike Yulia, doesn’t have his people everywhere, and he has no administrative resource of his own. Therefore, the clans in power think it’ll be easier to deal with Zelensky, should he be elected. They are ready to betray Poroshenko, if their future is assured. It’s possible clandestine negotiations are taking place already. That said, I wouldn’t be underestimating Zelensky’s sponsor Kolomoysky and his resources. Overall, due to distrust of any politicians, Zelensky’s outsider status may become his ace! 3. The No.4 candidate, Yury Boiko, is considered the opposition candidate for the Russian-speaking south and east. He is lagging a bit, due to the severe split and in-fighting within the opposition, hurting their showing. This reminds me of the situation in Moldova, which just went through its own election, ending in another stalemate of which you’ll also read in the book. 4. First round of Ukraine presidential elections is March 31. No one has enough votes to win outright, so there will be a second round, likely in May, unless Poroshenko manages to sabotage elections. Who will end up in the second round? Poroshenko’s goal has been to get into the second round no matter what, and whether the polls are lying or not, he seems to be getting in. If he isn’t, then it will most likely be between Zelensky and Timoshenko. Once in the second round, Poroshenko will try to overtake Zelensky or sabotage elections, whatever is more expedient. Poroshenko is losing it, as the footage above has proven. He may not last till May vs. young and energetic Zelensky. Timoshenko and Boiko are also doing better energetically and health-wise. Some of Poroshenko’s rats are already abandoning the ship, as seen on the video. That said, I would still not fully discount Poroshenko. He has proven over the years he has the tenacity of a dark entity clinging to life for all it’s worth. He managed to outmaneuver a lot of people. He is still clinging to power and he enriched himself on the military conflict and off the suffering of his people beyond belief. Some of the highest profile Russian analysts, such as Sergey Mikheev, believe he may still pull a fast one and get re-elected despite all odds. Poroshenko really is a master of swindle, I’ll give him that. However, his calibrations are so incredibly LOW, with QC at GUILT (!) and CHI at GRIEF, that I simply don’t see how it’s possible. Generally, as a rule the candidate with highest calibrations wins. The highest calibrated candidate is currently Zelensky. 5. In conclusion! Ukraine officially banned Russian observers from the elections, which is against the international law. This gives Russia perfect opportunity to disavow the results of these elections. There is plenty of leverage for Russia and if the results are not satisfactory in any way, Russia will use it. If Russia doesn’t recognize the newly elected president, whoever it is, essentially it means Ukraine isn’t recognized as a legitimate state. This, in turn will create all kinds of opportunities for Russia. But we’ll see whether Russia will use this weapon, or if Putin still decides to try working with whoever comes next. If Poroshenko gets re-elected, it’s practically guaranteed that Russia will act to disavow the elections. If it’s someone else, such as Zelensky or Timoshenko, and they make all the right moves towards Russia, restore the rights of the Russian language, put a stop to the religious schism, remove Ukro-Nazis, and of course, stop the war in Donbass, then likely they’ll be given a chance. Three months ago I published on YT the EARTHSHIFT PODCAST4: Ukraine: New Crisis & Poroshenko’s End (ESP4). Check out what I predicted back then! MOLDOVA SHIFT & Igor Dodon, the Putin of E. Europe (BIG Multidimensional Geopolitics Report, Quantum Calibrations & Election Predictions)! NEW LADA RAY BOOK RELEASE COUNT-DOWN HAS BEGUN! LADA RAY PATREON, YouTube and FuturisTrendcast! I confess, in the title I initially wanted to call Dodon ‘The Trump of E. Europe.’ In many ways he is like Trump: he was brought to power by people’s vote, despite powers that be who were in staunch opposition; he tries to implement change in direct opposition to the parliament and elites, not to mention the US and EU. But he also doesn’t act like Trump in many ways. Where there is conflict he seeks peaceful resolution and reconciliation, where there is a problem he personally tries to find a good compromise and mutually profitable solution. He doesn’t start wars, he loves Russia and is proud of having been born in the USSR; he is tough on the West and he wants Moldova to join Eurasian Union. Unlike Trump, and much like Putin, he tends to surprise on the upside. He does things beyond what anyone expects of him, and this is the true mark of a leader. In many ways, such as desire for cooperation instead of confrontation, peaceful tendencies and pragmatic approach, working quietly and steadily on the country’s future, despite having to withstand constant threats and opposition from oligarchy and elites, current president of Moldova Igor Dodon reminds me of Putin in the beginning of his tenure as Russia’s president. Parliamentary elections in Moldova sneaked up quietly. They take place on February 24, 2019 and they are more important than most realize. These elections will essentially decide which way Moldova will turn in the next few years, towards Russia or the West. This map shows Moldova (or Moldavia). The long sliver on the left is the breakaway, pro-Russian and Russian-supported Pridnestrovie (Transnistria), which was the only industrialized area of the Moldavian SSR. Near the bottom is Gagauzia, the autonomous republic within Moldova, populated with Russian Orthodox Turkic language people. Gagauzia has its separate special relationship with Russia, and it proclaimed that it will secede and join Russia if Moldova is absorbed by Romania/EU. Gagauzia remains a balancing factor within Moldova, not allowing it to become absorbed by Romania. Despite a small size and economic weakness of Moldova, its super-important geopolitical position between Russian Pridnestrovie, Ukraine and Romania/Balkans makes Moldova a big prize, true harbinger of change and a swing state bar none! The Moldavian choice may influence Ukraine, post-Soviet Space, the Balkans and Europe! At the very minimum it will influence the Russian-leaning Odessa and Southeast of Ukraine. For Russia, Moldova suddenly became an important country, as relations with Ukraine soured. How important is evident from the number of times in the past couple of years Moldova’s President Dodon has been in Moscow, meeting with Putin, Medvedev, Gazprom’s Alexey Miller, and participating in international forums at Russian government’s invitation. Dodon is known not only for his firm desire for Moldova to become a part of the Customs Union with Russia through Eurasian Union, but also for his balanced, pragmatic and practical approach to Moldova’s affairs. He wants Moldova to be a bridge between EU and Russia, but rejects Euro-integration, saying that no one needs Moldovan agricultural produce in Europe, where there is an overabundance of its own cheese, wine, grapes, plums and apples. Russia is Moldova’s traditional market, which was developed through centuries of living and working together. This is in addition to the natural affinity through Orthodox Church, common history, Russian culture and language. Out of over 3 million country’s citizens, anywhere between 700,000 and 1 million live and work in Russia. Moldova adds billions of dollars annually to its GDP through the money sent back from Russia by migrant workers. CLICK TO READ COMPLETE REPORT ON LADA RAY PATREON! BIG Multidimensional Geopolitics Report, Quantum Calibrations & Election Predictions! Book release date: February 20, 2019! This book will become a fascinating read, an unsurpassed research tool and a handy reference for all those who want to know where their country, continent and the world in general is moving, who want to understand the whole truth and underlying reasons for each country’s conditions, and for those who want to compare various countries and regions of the world for academic or practical reasons, such as decisions on relocation. But this book does more! It gives you an in-depth look at my new core theory of Quantum and Geo Calibrations, allowing you to get in touch with the higher consciousness through my brand of predictive futurism. It gives you a good glimpse at my other core theory and practice, namely The Great Earth Shift and Russia the Great Balancer. FREE peeks, insights and articles! Filling Those Giant Putin’s Shoes: Russian President’s Big Q&A 2018 Highlights! It was Putin’s international media Q&A No. 14, lasting almost 4 hours. This time Putin took a larger than usual number of questions from Russian regional and federal media, targeting all-Russia and local issues. But there were also plenty of questions from international MSM, including on Ukraine, US, Syria, Turkey, nuclear war and BREXIT. EXCLUSIVE, ONE-TIME OFFER: only until December 29, 2018! Usually $25+ a month content! By inside accounts of top Russian journalists present, during joint Trump-Putin press conference, American journalists were very pushy, dismissive and aggressive. For example, they would refuse to give up microphone after their question, and would keep asking more questions for 5 minutes at a time, at the expense of Russian journalists present. ALL Russian Journalists’ questions WERE ABOUT THE FUTURE AND THE IMPROVEMENT OF RUSSIA-US RELATIONS. As I was saying in response to a McCain-Hillary troll (yes, not kidding): sad day for America, sad day. See the whole exchange HERE. Putin gave an interview to an American journalist on the sidelines of the summit, and the same story, which happened during Putin’s interview to an Austrian journalist before Putin’s meeting with Austrian chancellor Sebastian Kurz, has repeated. In Austrian interview, the Austrian journo made a world record by interrupting Putin 13 times, one up from American Megyn Kelly. Putin was forced to calm down the Austrian by asking him nicely and politely in GERMAN to be patient and to listen. Much like one would try to calm down a silly, moody 2 year-old, who doesn’t get reason or manners. I think a normal 2-year-old would get it much better than these ‘journalists,’ who think they’ll earn a badge of honor at home by being exceptionally rude to Russian president. Putin’s Helsinki interview with the rude and aggressive American ‘journalist’ from Fox. A 3min snippet. Trump calls CNN ‘fake news’ – rightly. We should start calling Fox ‘the rude and aggressive fake news.’ What’s the dif? I haven’t seen, but I can only imagine how different and respectful was a Russian journalist’s interview with Trump. This one from Fox (no idea what his name is – don’t care) is doing the same, but with even more anger and aggression, forcing Putin to tell him he is disrespectful – actually, this is the first time I’ve seen Putin say this. I’m sure this Fox talking head was trying to make Putin angry and lash out at him, so he would have something sensationalist to write. Putin’s patience is absolutely angelic when dealing with global idiots and freaks such as this one. To which American replied incredulously, ‘Disrespectful?! Who, me? ?’ I don’t think he ever looked up in the dictionary the meaning of the word. Anyway, I simply admire Putin’s angelic and out-of-this-world presence of mind and patience with these malicious 2-year-olds from hell, who somehow were given a disproportionate amount of power in our world. You must know, my dear American, Western and global readers that in Russia the rudeness and unprofessionalism of American and European journalists, as well as politicians, is a subject of endless jokes and mockery. So is the faux Western democracy, and lack of any sense of reason. Would you like to change this perception? Start by boycotting your MSM, exposing them and telling them what you think about their attitudes. And start by voting out of office the idiots in power in the West (and I mean practically everywhere, except maybe a couple of countries, which we previously discussed). THE AMERICANS ARE HOLDING RUSSIA-US RELATIONS & ALL INTERNATIONAL RELATIONS HOSTAGE TO THEIR POLITICAL INFIGHTING! But those who follow me, know there is MUCH MORE! The process of extreme division and animosity within the US is due to THE GREAT EARTH SHIFT and to Russia the Great Balancer rebalancing the world, along with China and some other forces. This is what makes them so extremely angry, and this is why they fight between themselves and accuse Russia of all mortal sins. The right thing to do would be to look in the mirror and see that they are doing it to themselves, but they aren’t evolved enough for that. Incidentally, it would be very useful to show how many times in the past and how (unfortunately) successfully US interfered into the affairs of Russia, and continues attempting to do so. I could recall the elephant in the room: HOW US PULLED THE STUNT OF THE CENTURY AND SUCCEEDED IN BREAKING UP THE USSR, CAUSING THE ’90S DISASTER AND SUCKING MUCH OF THE WEALTH OUT OF RUSSIA AND UKRAINE. I could recall how Yeltsin 1996 re-election was falsified by Americans – an absolutely blatant interference in Russia’s internal affairs, very well remembered by Russians. I did a post on that on Patreon and I might do another dedicated post. There were and are many other cases, among them, of course, many color revolutions and especially the subversion of Ukraine / Kiev maidan 2014. Current hot case: that of Hermitage Capital and Bill Browder, whom Putin mentioned in the joint Putin-Trump press conference. Incidentally, the Hermitage Capital case is ongoing and Browder is wanted in Russia on some very serious charges of money laundering and tax evasion on the amount of $1.5 bln. Putin threw that point at Trump on purpose – a brilliant move by the global chess master! I will discuss what this move means, along with a number of other brilliant moves by Putin at the Helsinki summit — REPORT COMING TO PATREON IN A FEW DAYS! Putin, by throwing some very interesting and beneficial to Trump hints, is very exquisitely and very masterfully giving a hand to Trump and republicans, helping them win midterm elections 2018. Of course, republicans are too dumb to get it, but Trump got it — and he played along! Why Trump Completely Flip-Flopped on Theresa May During State Visit to UK? As this joint presser between Trump and UK PM Theresa May shows, Trump effortlessly flip-flopped on his previous words and stance on UK’s PM Theresa May and UK. The May-Trump press conference was lovey-dovey and full of smiles. Just idyllic, considering the insults he has thrown at her recently. The whole thing is designed to camouflage the Transatlantic cracks and to demonstrate the solidarity and united front of the West before Trump’s meeting with Putin in Helsinki on the 16th. Trump suddenly realized that he needs to come into negotiations ‘from a position of strength,’ as Trump likes to put it. But as I explained in my PATREON articles and predictions, Trump really has nothing to offer Russia. Trump is also pushing very hard for the cancellation of Nord Stream-2, which Germany is already full in. Germans generally consider Trump’s mafia-like intrusiveness insulting. But Merkel caved in before. I also discussed this in detail in recent PATREON articles. So far, Trump elicited bribes from the EU in the amount of $34 bln, which he was very proud of during this presser. These are nothing but bribes, promised in the hopes that US mafia boss would leave EU alone. Listen to the Q&A – it’s self-explanatory. It begins around 16 min, but Trump & May intro speeches are also quite telling. Also see my previous FT posts, for more details. It all would have been hilarious, if it wasn’t that sad. Comments Off on Why Trump Completely Flip-Flopped on Theresa May During State Visit to UK? Armenia Maidan Paradox: Why New Pro-West Armenia Government Pledged Allegiance to Russia & Eurasian Union? The new POST-SOVIET SPACE & THE FUTURE OF EURASIAN UNION series continues! **This series is part of the June PATRON APPRECIATION Month! Read my flagship post in this new series: PUTIN’S DOCTRINE & EURASIAN UNION SUPER-BLOCK FROM VLADIVOSTOK TO LISBON! Armenia & Eurasian Union Paradox: Maidan or Legitimate Popular Revolt? Why Seemingly pro-West Armenia continues pledging allegiance to EAU and Russia? THESE ARE EXTENSIVE EXCERPTS & OVERVIEW! READ FULL ARTICLE ON PATREON! Armenia is one of the 5 full members of the Eurasian Union. As a weak country detached from Russia, Armenia is a lucrative and promising playground for Western NGOs and color revolution attempts. Armenia is a very small country, with the official population of 2.9 million. But this data could be exaggerated, as up to 2-3 million Armenians have emigrated and live in Russia alone. Many also live in the US and EU. But even if we assume there are 2.9 million people residing in Armenia, for such a small population there are upward of 500-700 Western-based NGOs (I’ve heard estimates in thousands). Knowing how NGOs work and how they bribe locals in any given country, just imagine the scope of the pro-West brainwashing in Armenia! It has to be noted that Russia had a similar infestation of US/UK NGO’s, but it was dealt with by Putin’s government between 2005-2015. However, some of the weak and corrupt post-Soviet space states are very much under siege by Western NGOs to this day. These NGOs buy up elites and the media, and they promise lavish rewards to the young. In Ukraine, we have seen the sad results such situation can lead to. Lately Armenia has been regularly compared to Ukraine. In many ways, the situations in Ukraine and Armenia are similar, but in many ways they are drastically different. Let’s see how this manifests in practice. Like Ukraine, after the collapse of the USSR, Armenia gradually lost its compass and started forgetting its direction. The manifestation of its weakness was delayed, much like in Ukraine. For years, Russia continued to carry both Ukraine and Armenia, and that lulled both into complacency as they believed that despite different circumstances they could continue sucking the wealth our of Russia, without giving anything back. But free lunch was coming to an end, as Russia in the 2000s began demanding responsibility and reciprocity from the former republics. That’s when color revolutions began manifesting in Ukraine (2004 and 2014), Armenia (2015-18) and Moldova (2007), Georgia (2003). There was also a ‘tulip’ color revolution in Kyrgyzstan, as well as unsuccessful attempts in Kazakhstan and Belarus. I described the deep psychological mechanisms of these events in ESR3. In that respect the Ukraine Maidan and Armenia’s color revolution attempts are similar. But there are differences as well. Ukraine, after all, is a large country, located in the middle of Europe. It borders a number of countries, including several EU states and Russia, thus insuring markets and better cross-border penetration for the population, unable to find jobs inside the country. Ukraine also has access to very good ports in the Odessa region. Overall it inherited probably the best economic and industrial potential of all ex-Soviet republics. Armenia is very small and landlocked. It borders only 4 countries, at least three of them hostile to it. There is no common border with Russia and no access to ports. As a weak, poor and in many ways deeply compromised country, Armenia constitutes a lucrative piece for the Western bribery and brainwashing. But therein also lies a problem for the West. The attempts to play anti-Russian card in Armenia were many. In the past several years Armenia and capital Erevan went through numerous attempts to execute color revolutions, using various false flags and economic hardship as pretexts. One was a violent protest after a serviceman from the Russian base committed a crime (it later transpired he was under the influence of drugs someone with an agenda secretly gave him); another protest, almost resulting in a full Maidan, was engineered around the 15% hike in consumer electricity price. An interesting part of both protests was that they attempted to exploit the anti-Russian card, demanding that Russian base leave Armenia and blaming Russia for the 15% electric bill hike. The latest attempt, which took place in the spring of 2018, was centered around public discontent of Serzh Sargsyan continuing tenure in top posts. Sargsyan was till recently the president of Armenia, and when his presidential term was over he was immediately appointed prime minister of Armenia. During the previous ‘Electric Maidan’ of 2015 the government succumbed to the demands of protesters and made a switch from the presidential republic to the parliamentary republic. I will explain later in this article how it happened and why it was significant. There is no conspiracy here at all. By some accounts, up to 1/2 of the Armenian population (could be more, since many aren’t registered) live and work in Russia. Those who left were the most proactive, fastest, shrewdest and most likely to succeed. Many best educated Armenians also left. It’s important to note that Armenia was one of the most heavily subsidized Soviet republics. It sucked much more resources from Russia than it gave back, thus drastically over-consuming, while Russia severely under-consumed – all this is discussed in my previous post: PUTIN’SDOCTRINE & EURASIAN UNION SUPER-BLOCK FROM VLADIVOSTOK TO LISBON! SELF-PRESERVATION OR CIA FAILURE? WHAT WENT WRONG WITH ARMENIAN MAIDAN? The clear and firm signal from the Armenian people was that protests UNDER NO CIRCUMSTANCES COULD BE ANTI-RUSSIAN. Just the opposite, Armenians went on record to say how important and close Russia was to them. When Ukrainian or Georgian provocateurs appeared in the crowd, attempting to shift the protests towards anti-Russian agenda, they were outed and expelled by self-policing crowds. Russians continued to watch silently and sceptically. The secret signal from the Kremlin was that Russia would act according to the new situation. And the new situation could potentially include pulling the plug on the Russian Gyumry base, Russia’s support of the peaceful resolution in Karabakh, as well as economic implications of an unknown scope. Putin shakes Armenia PM Nikol Pashinyan’s hand in Russia, EAU summit 2018. As a result, the newly installed by the street, unelected new prime minister Pashinyan, who was supported in his activities by Western NGOs and who just recently proclaimed that Armenia would exit EAU and work on joining EU and NATO, performed a full air flip, making a spectacular 180 degree turnaround. The very first international visit he made was to Russia, to take part in the EAU summit, where he proclaimed his allegiance to Russia and EAU. Landlocked in the southern Caucasus, Armenia has borders only with 4 countries: Azerbaijan, Turkey, Iran and Georgia. It does not share a border with Russia. Out of the 4 countries it borders, Armenia is at odds and doesn’t have diplomatic relations with Azerbaijan (the state of cold war due to Gorny Karabakh conflict) and Turkey (where the genocide of Armenians took place in the beginning of 20th century). Big parts of the territory in this map presently belong to Turkey (a huge lump of ‘Western Armenia’), and a small part in the north belongs to Georgia, who already lost 1/3 of its territory after Abkhazia and S. Ossetia secession. Not to mention the eastern-most ‘Armenia’, aka, Nagorno-Karabakh, populated mostly by Armenians, which was during the USSR an autonomous part of nearby Azerbaijan. The secession war against Azerbaijan began in Karabakh as soon as the USSR fell apart, or more precisely, it began even before 1991, but went into its hot phase after. The Karabakh situation can be compared to the Donbass situation. It is so weak that without Russian military base it likely wouldn’t survive for long as a sovereign country. It can easily be swallowed by the 4 neighbors: Turkey, Iran, Azerbaijan and Georgia. In this context, Armenia should be grateful forever to Russia for keeping balance in the region. Yet, in the past several years we have seen plenty of anti-Russian attacks. 1. ‘Electric’ Maidan 2015 – due to the 15% hike in electric fees the near coup was executed. Russian business, who I very much suspect has clear Armenian roots, behaved very reasonably and agreed to rescind the hikes, at a financial loss to its bottom line. So did Russian government, who was forced to subsidize Armenian electricity market to avoid Kiev-style Maidan developing. Yet, anti-Russia/anti-Putin slogans were present at the Electric Maidan, actively encouraged by foreign interests. The sheer signature of the Gyumri false flag points clearly at CIA/US, in conjunction with Armenian anti-Russian ‘revolutionaries’ on CIA/NGO payroll. Truth be told, compared to Kiev and Ukraine, the Armenian ‘velvet revolution’ was a lot more peaceful and more controlled. It ended in a civilized manner, despite certain elements pushing for violence. It failed to achieve its anti-Russian goals. This is a big victory for Russia the Great Balancer and yet another step towards the Earth Shift! PATREON COMMUNITY & GET MUCH MORE! If you want to join Lada Ray on Patreon, but don’t want the hassle of paying every month and prefer to make a single annual payment each year, we can now offer this new easy option! By choosing the Annual Membership Option you get to enjoy a full year subscription, without the hassle of keeping track of your monthly payments! ADDED BONUS FOR EU RESIDENTS! If you are in the EU, you may also enjoy the annual subscription because this way you’ll bypass the pesky VAT tax! Email us if interested in annual membership! STAY TUNED! Coming next week, exclusively on Patreon (as soon as I can write these articles)! We will be discussing the Earth Shifting and promising events in Moldova, which are also developing per my predictions! Moldova is much more important than many realize, and it’s not only because of my warm feelings towards it! There is a lot of important new developments and shifts in Novorossia/Donbass/Ukraine! There is important news from Odessa too! We are very much behind discussing Ukraine-Novorossia. I’ll try to fit all this into my schedule this and/or next week! This week I’ll also have some announcements! Next week we’ll also have more Quantum Calibrations of countries/leaders/armies. Which country do you want me to calibrate next? Eurasia: the New Global Axis of Power Has Formed (Russia, Iran, Turkey + China)! I have decided to make several posts on Patreon FREE and available to general public, as a sneak peek into our new community and its promising multifaceted development! Hope more people from FuturisTrendcast, as well as general public, will join our growing PATREON community for my future detailed analytical, predictive and multidimensional articles and videos! A part of this article is being posted on FuturisTrendcast! To read the entire piece GO HERE! It is FREE and open to general public! I will be very happy if you decide to join us and support me on PATREON! I’d been talking about this since 2014-2015. The big events happening in the Middle East are certainly a part of the GREAT EARTH SHIFT. Revisit my prior post for links to relevant ESRs, with detailed intel, analysis and predictions: Goodbye US and NATO? Putin and Erdogan sign nuclear mega-deal and agree on fast S-400 delivery. Remember, that my ESRs and ESWs never duplicate each other! All material is new and unique! The statement issued by the three is affirmation of the territorial integrity of Syria, and of the fact that the war in Syria must end. Go to LadaRay.com and scroll down to see this and other interviews. Direct interview YT link — remember to LIKE it! SUBSCRIBE TO LADA RAY YOUTUBE FOR LOTS OF FREE VIDS & INTERVIEWS! I want to stress that this is a BALANCED alliance, taking into account the many interests and intricacies of the region! This is in stark contrast to the imbalanced and one-sided previous Western dominance. The fact that such different three powers managed to get together and form such an unlikely coalition is epic. The driving power and the unifying factor behind this new, unthinkable before alliance is Russia The Great Balancer. I wrote about it in ESR13, and other Turkey/Syria ESRs. It is clear that none of this would have been possible without Russia. What we have here is a vivid demonstration of the demonstration of how The Great Balancer works. READ THE REST OF THIS ARTICLE FREE ON PATREON! is coming on April 18-19! Click on LINK to read descriptions, subscribe to whole Series and/or buy individual webinars! The Skripal scandal and Transatlantic expulsion of Russian diplomats was a very bad move on Theresa May/Boris Johnson’s part, simply reeking of false flag and coordinated attack against Russia by the collective West. Read my lips: UK is about to have big problems, of its own making. Between BREXIT problems (as I predicted in ESR12 in June 2016!!) and the Skripal scandal, how long has May/Johnson government left? The big capital is fleeing UK, as I shared with you in my recent post – and that’s the death of the UK financial foundation. Sure they’ll do everything to cover up the truth about Skripal flase flag, as well as many other such cases, and they’ll fight tooth and nail, accusing Russia of everything. But the truth has a funny way of showing up when needed. The whole Europe is standing on a threshold of huge shifts! The funny thing, all these globalist elites in charge of Europe have no idea what to do. And it’ll get even funnier going forward. To get my really big stuff and important articles, support me on PATREON! Russia, as has been proven time and again, is the only rational country and Putin is one of the very few rational leaders. See more posts later, on additional hot topics and breaking news! Listen to full documentary, with English subs, below! This documentary is a great complement to my bestselling Earth Shift Webinar 6: THE PUTIN ENIGMA! If studied in conjunction with my theories and webinars, it fosters a better understanding of the EARTH SHIFT processes and greater understanding of the role of RUSSIA THE GREAT BALANCER. It confirms and validates many of Lada Ray PREDICTIONS here, here, here and here! See NEW Earth Shift Report 21: PUTIN 2018 & RUSSIAN ELECTION for more of the newest, and more coming in April! Don’t miss ALL NEW EARTH SHIFT REPORTS! Russian Election 2018! WHY PUTIN IS THE ONLY CHOICE + Lada Ray Prediction and top secret, never before revealed stories about #Putin! THIS PART OF THE EXCLUSIVE ESR21 IS BEING MADE FREE TO ALL MY FUTURISTRENDCAST FOLLOWERS! ENJOY! You are reading the two-part conclusion of the Experimental Serialized Earth Shift Report 21: PUTIN 2018 & RUSSIAN ELECTION. PART 10, which you are reading today, is the first part of the CONCLUSION! I will publish the last PART 11 soon! So far its topic is a secret. STAY TUNED! In a few hours the preliminary results of the Russian Presidential Election 2018 will be announced. The result was so obvious this time that I didn’t even bother making my famoust predictions. Putin will get a higher percentage of votes than the February forecast: See Part 1. The forecast was for 73-74%. I see it as high 70s to low 80s. Presently, the polls are open. LIVE: Polls open for the 2018 Russian presidential elections. Why Putin is the only choice? 1. The West is going nuts, yelling, baiting and attacking Russia from all directions. 2. Ukraine has gone nuts several years ago, and counting. The junta completely lost it. And the new, even crazier events are developing as we speak in Ukraine. Incindentally, the newest developments are something I predicted back in 2016! I’ll talk about that in a few weeks, time allowing. 3. Due to irresponsible actions by the UK, US and West in general (latest Skripal and E. Ghouta/Syria events), the world is, yet again balancing on the edge of the WWIII abyss, away from which Russia the Great Balancer and Putin personally dragged it previously more that once. 4. This was the first time Western style full-scale presidential debates were organized on live Russian national TV. Read all about it in PART 2. All presidential candidates, regardless of how small their support was (there were 8 in total), were invited to participate. Compare that to the US, where only 2 RULING parties are allowed to participate in the debate, and others are simply banned! Putin did not participate in the televised debates. As I told you, his official polite explanation was that he was busy, and indeed he was, running Russia in the midst of some of the most difficult time. However, as I said in Part 3 of PUTIN 2018 & RUSSIAN ELECTION, the real reason is that he was too kind to other candidates, because it would have been like an ELEPHANT next to a bunch of little yappy poodles (sorry, no offense, poodles!). And it was proven during the most democratic debates I’ve ever seen. And I mean it! Everyone was allowed to say what they wanted and needed, Western style. And the whole country, and the whole world saw clearly that PUTIN WAS THE ONLY CHOICE. In the US and UK they may be used to this kind of violent and disrespectful behavior on national TV, but Russians aren’t. And they watched with their eyes popped, in horrified fascination what was happening, being reaffirmed in their conviction that Putin is the only person fit to rule Russia, while exerting such unparalleled influence over the world. The incidents ranged from near brawls to threats and splashings with water. 3. A loud scandal, plus a very violent near brawl, prevented by host and other candidates, took place in the last debate between candidate for the Communists of Russia Suraikin and Communist Party candidate Grudinin, plus his second Maxim Shevchenko — all on live national TV. This is the scandal in question. Detailed and very interesting report on both communist parties and their crisis here: ESR 21 P6 MEGA-REPORT. 4. During one of the debates, in response to UK Theresa May’s ultimatum to Russia in the Skripal case, candidate from LDPR Vladimir Zhirinovsky said that: He was the ‘only candidate’ to be the commander in chief of the Russian Army and added that all Russia needed in order to properly respond to the Skripal attack by the UK ‘were two missiles, and that would be the end of May and UK.’ Here’s the episode in question: Zhirinovsky on Salisbury Issue: We Need Only Two Rockets And British Isles Will Be Wiped Out! Russians are looking at the dog and pony show in the UK; at the US threats in Syria; at the NATO countries ganging up against Russia; at the crazy events just across the border in Ukraine, plus at other candidates during the debates, and they know: It’s Putin and only Putin! Moreover, however hilarious this may sound, the collective West has listened to candidate Zhirinovsky (to be fair, that’s his usual rhetoric) and decided that Putin, after all, is a much safer choice. Besides, the people both in Russia and around the world are comparing Vladimir Putin to all that riff raff in charge of the West (see latest UK episode, one of many), and we all know: Putin is the only sane and adult leader, capable of stopping the US/UK/West’s madness, and not only theirs. A Russian, traditionally pro-West, anti-Putin neoliberal, Boris Nadezhdin, said it best in the latest TV talk show with Vladimir Soloviev. Shaking his head, he said that after observing the US/UK aggressive attitudes, the Ukraine craze, Syria, plus what happened in the debates, he began experiencing the urge to vote for Putin. And that’s a traditional anti-Putin neoliberal, responsible for the ’90s disaster! Even those in Russia who were against Putin for whatever reason, are now reconsidering. The collective West, with their constant attacks and sanctions against Russia, has done something they are too dumb to grasp: THE HAVE UNITED RUSSIANS AROUND PUTIN, like nothing else would. As I have been predicting since 2014 and every year after, I might add! I want to give you some of the facts from Putin’s life, in video format, with ENG subs. Some of these materials were top secret or classified, and some were never revealed publicly due to how modest Putin is. Before this election, all stops were pulled, and stories, previously only whispered by some, became known to all. I have told you one of these stories in ESW6: THE PUTIN ENIGMA. I heard it a long time ago from the horse’s mouth in E. Germany, and later from a Russian intelligence operative. THE UNKNOWN PUTIN: REAL STORIES FROM HIS LIFE TO DIE FOR! This one has already been published on FuturisTredncast: URGENT! UNKNOWN PUTIN: I gave order to stop plane heading for Sochi Winter Olympics Stadium! STORY 4 – AMAZING TURNAROUND FOR RUSSIA BEGAN HERE! STORY 5 – THE COURAGEOUS PEACEMAKER – US/WEST COMPLICITY IN CHECHEN WAR REVEALED! Stay tuned for the last PART 11 of Earth Shift Report 21: PUTIN 2018 & RUSSIAN ELECTION! Also stay tuned for LADA RAY’S BIG ANNOUNCEMENTS FOR 2018-19! Support Lada Ray on PATREON: JOIN! BUY 1st in the series! Yesterday, I published the CULMINATION of ESR21 P8: Putin’s 10-Year Plan & His Vision for Russia’s Future! LADA RAY’S PREVIEW & IMPORTANT ANNOUNCEMENTS! Below you’ll be reading the continuation of the 3-part Culmination of my new experimental, serialized EARTH SHIFT REPORT 21: PUTIN 2018 & RUSSIAN ELECTION (ESR21), timed to coincide with Russian Election 2018! For nearly half-a-month I tried to present to you a fair, multi-faceted and balancedmicrocosm of the contemporary Russian political process, together with a glimpse at both Russia’s turbulent past and exciting future. Yes, Putin reigns supreme in Russia’s politics, and his vision for Russia is unsurpassed, confirming my Russia The Great Balancer vision! But it would be incredibly naive and one-sided to limit your perception of Russia to just one Putin. He is a true Russian democrat, and so am I. We think from our warm hearts, but also keep a logical, cool head on our shoulders. This is vastly different from the fake Western ‘democracies,’ which proclaim the ideals of fairness only when it suits them and whose main goal is to affirm their full-spectrum global dominance. When things do not work out in their favor, they lose the thin veneer of their ‘democracy’ and turn outright nasty (as we are now observing with the Skripal UK case: more here). Russia is multifaceted and vibrant. This is why Putin insists on various forces’ — even those small or adverse to him — participation in this election. This is why all candidates are given equal chances of the debate participation and Russian TV/MSM exposure, unlike in the West. This is why I also am presenting to you ALL sides of the spectrum. It appears to me some people don’t get it. But the majority, I hope, does! This is the only way I know how to look at things: systematically, multidimensionally and as a complete and balanced system. I am very happy so many of you were able to join me in the ESR21 special journey through Russia’s past, present and future, beyond the obvious. Those who did, are richer for it! In earlier episodes of ESR21 we have discussed various topics, ranging from presidential candidates ratings & Putin’s main rival, the ‘offshore communist’ Grudinin, to Russia’s new secret weapons & attempts to sabotage the election via Russian ex-spy poisoning in the UK. The ESR21 CULMINATION PART 8 introduced you to Putin’s Big Vision for Russia and his 10-Year Plan. Today I am posting part 9, and the wrap-up part 10 is coming on March 17! Its topic is a secret and I’ll reveal it tomorrow! As always, refer to all of your ESR21 inks HERE! The entire content is exclusive and FREE only tomy Patreon followers! Just letting you know that after working very hard for months, some time soon I may take a few days off. But whatever you do, don’t go away! As the Great Earth Shift gains momentum and a clash between super-powers intensifies, the world events are again accelerating, and much more earth-shattering changes are expected this year! Therefore, I can’t be away for long. No worries, I will continue being your guide and wayshower through this time of the Great Earth Shift change! Soon after Russian Election is over, we’ll be resuming our regular programming, including our Multidimentional, Earth Shift and Quantum Calibrations content, which many of you have come to love! You know I love you all and I want to give you as much knowledge and info as I can! I hope you all can join me in this continued journey of discovery and illumination! LOTS OF HUGE NEW & ONGOING PLANS! Stay tuned for MY MAJOR ANNOUNCEMENTS! Why Putin runs as the only independent? Russian ‘Paris Hilton’ Ksenia Sobchak & pro-West neoliberal fiasco! New Blood (Starikov/PVO) vs Old Guard (Zhirinovsky/LDPR, et al)! Ksenia Sobchak, in my definition is a cross between Hillary Clinton and Paris Hilton. She is running as the candidate ‘against everyone.’ Not a very constructive position to begin with. According to the poll, with which we started ESR 21, she gets about 1% approval. She was picked up and backed as the candidate by a small pro-West neoliberal party Grazhdanskaya Platforma – Civic Platform. This allowed her to get into the ballot easier. In Russia, running from a party means you have to get only 300,000 signatures, while an independent candidate would have to get 1 million signatures. In this election, Putin is the only independent. Why? See about that below! Sobchak is a well-known and much hated in Russia TV personality, who used to participate in risky and frisky reality TV shows, such as Dom-2. At one point, she began styling herself as a serious political journalist. Another shocking and notable thing is that she is the daughter of Putin’s ’90s mentor, Anatoly Sobchak, who was the powerful mayor of St. Petersburg. Putin was her godfather. As such, he still treats her with a mildness and respect she hardly deserves. Sobchak has been an extremely vocal critic of Putin and everything Russian. Actually, she professes to be for ‘strong Russia,’ but it’s hard to find a bigger Russian-speaking Russia-hater. She is the pointperson for all pro-West Russophobic forces within Russia. Her platform incorporates the following: 1. Russia is an aggressor, conducting two hybrid wars, in Ukraine and Syria. Russia must admit this, say ‘sorry’ and withdraw from both. 2. Russia must stop protecting Donbass and allow Kiev junta to take it over, with all the consequences for the population. 3. Russia must give Crimea back to Ukraine and apologize. 4. Russia must stop protecting Syria and ‘dictator’ Assad. 5. Russia must disarm and happily join the ‘European family.’ 6. Russia must stop being Russia and do as the US says. In other words, she could well be a mouthpiece for NYT, BBC or CNN, and no one would know the difference. This platform is announced by Sobckak every day, including in various presidential debates. Because Ksenia Sobchak can’t get much following in Russia, she has infamously gone to the US, where many Russians live. She campaigned throughout the US, trying to convince Russians living there that they should vote for her. Her logic apparently was that those Russians living in the US will be pro-US and critical of Putin. We’ll see whether her calculation proves correct on the election day. I think not. While in the US, Sobchak attempted to meet with Trump, but was refused. She also was in the US in search of sponsors and financing, and she found them, of course – no surprise there. I think that’s about all we need to know about Ksenia Sobchak and her followers; I believe it’s clear what she is. She presently also holds the dubious distinction of having the country’s highest negative rating. Not a dummy, with a large amount of negative charisma, she is an extremely confrontational and scandalous person. Sobchak literally attracts scandal like a lightning rod. You saw an example of how she operates in ESR 21 P3: Zhirinovsky vs Sobchak: Unlikely Brawl on Live Russian TV Between Presidential Candidates + Lada Ray Analysis! Vladimir Zhirinovsky will be discussed below. The rest of the pro-West neo-liberals aren’t even worth mentioning, but we will, for fairness’s sake. Essentially, there are 3 other parties, and their respective candidates, each of whom gets less than 1% of votes. Grigory Yavlinsky, leader of Yabloko, 0.6% rating. Yabloko represents itself as the ‘intellectual’ party. One of these parties is Yabloko (which in Russian means ‘Apple,’ the name also being an abbreviation of the party’s founders’ names). The party’s long-term leader and presidential candidate 2018 is Grigory Yavlinsky, who was in part responsible for the disastrous ’90s reforms. The catastrophic reforms of the neo-liberals in the ’90s are still remembered in Russia with anger, and his party has been catastrophically unpopular, but very loud. One of the things Yabloko professes is that Crimea belongs to Ukraine, not Russia. But because this position is very unpopular and loses him even more votes, Yavlinksy has been very subdued on that point during the debates. In the same category, but a lot more physically violent and harmful, is Alexei Navalny, who has been more than once caught either doing something illegal or taking money from the US/UK. He has two suspended criminal sentences and therefore, cannot run for election (see me talk about him more in Part 10). Navalny’s support in Russia is also under 1%, but he gathers around him the loudest and most aggressive elements, who are always on the attack through social media. Their effort is coordinated through CIA and Western surrogates, including Kiev and the Baltics. The Navalny supporters get paid for their shill/trolling activity, and they have been known to be very effective on the internet, spewing a lot of filth everywhere, creating misdirection and fake news. Yet, very little public support transpired out of all their internet efforts. There is a clear trace of CIA and global financial elites behind Navalny, who don’t stop financing and training his people, hoping they’ll one day deliver, and create a new chaos in Russia. Ksenia Sobchak, Navalny and Yabloko/Yavlinsky are a big part of the 5th column, agreeing on everything with the US says, while making bold accusations against Russia. More reasonable and balanced, and in my opinion the most interesting of the bunch, is ‘Partia Rosta’ – The Growth Party. The party leader and presidential candidate 2018 is Boris Titov. He gets only marginal 0.3% support. He promotes himself and his party as the ultimate defenders of the rights of business, whether big or small, private, public or state. The platform includes: Russian economy growth through better business climate, promotion and protection of all business, as well as the peaceful business and trade cooperation with other counties. The platform is very focused and narrow, and it appears to ignore the full scope of geopolitical realities, always pushing ‘cooperation’ with the West. The result of this ‘see no evil, speak no evil’ la-la-land position is very small support. This party works with Putin and the government, although has certain criticisms as well. Of all neo-liberal parties, it is the most reasonable and clearly, the only positive. It is also the only neo-liberal force in Russia that can boast of some practical achievements, such as trying to convince run-away ex-oligarchs in London to bring their assets back home in exchange for amnesty. Titov personally negotiated the deal in London. Unlike other pro-West 5th column forces, the Growth Party isn’t known to promote ‘Crimea is Ukraine’ slogan. It seems much more patriotic than the rest. The Growth Party also seems to align with patriotic forces as to who robbed the country in the ’90s. However, it’s still not trusted, being considered the party of the oligarchs. All in all, as we see, the pro-West neolibs in Russia are suffering a huge fiasco. Just two days to the election, and it’s pretty clear the most each of these parties can hope for is between 0.3% and 1%, if that. On pic above! The old guard: Gannady Zyuganov (KPRF), Sergey Mironov (Fair Russia), Vladimir Zhirinovsky (LDPR). We discussed Zyuganov and his conundrum in previous article Putin’s Only Worthy Rival? ‘Offshore Communist’ Grudinin & Russian Communist Party Crisis. Another old guard member, Sergey Mironov and Fair Russia have also been losing votes. Mironov announced that he would not be running this time and that instead, his party throws its full support behind Putin. The next old guard representative, Vladimir Zhirinovsky (pic above), has too much of an ego not to run, despite his ripe age (read more about him in the previous post about his brawl with Sobchak). Incidentally, his clashes with Sobchak continued in the latest debates, and he even made her cry. As an aside, it has to be noted that Ksenia Sobchak’s outrageous claims and fake news outbursts make all other candidates interrupt and argue with her during debates, which causes her to accuse all others of collusion and of ‘opposing her, instead of Putin, in this election.’ The real truth is that her scandalous and confrontational nature is such that she does rub everyone, even her fellow neo-liberals from the Growth Party and Yabloko, the wrong way. Just like Sobchak, Zhirinovsky is very confrontational and flamboyant. But unlike Sobchak, he is patriotic and nationalistic, with big-time pro-imperial Russia flavor. He has a lot of energy and he does possess a universally recognized gift of the gab. He is considered a sort of Russian Trump, to whom he is close in personality. He is also considered a ‘geopolitical prophet’ in Russia. Zhirinovsky very much supported Trump during campaign, calling him ‘our man,’ and predicting his win. He also persistently predicted Trump completely turning around Russian-US relations. Right on No. 1, wrong on No. 2. See my own original Trump predictions (right on No. 1 and No. 2)! You read an excerpt from PART 9! URGENT! MY PREDICTIONS CONFIRMED – YET AGAIN! EXPOSING ALL-ENCOMPASSING PLOT AGAINST RUSSIA AT WORK! Which part didn’t make sense to this specific person, I don’t know. But I can tell you that what I have warned and predicted time and again in my FT articles, videos, interviews, ESRs and ESWs IS coming true! Perhaps some people can understand only sensationalism and tiny tidbits – they should go to the US MSM and yellow press. I DO ONLY SERIOUS ANALYSIS AND PREDICTIONS. Just the very latest confirmation of my analysis and predictions re. Skripal poisoning as one of the means to sabotage Russian Elections, intimidate and twist the hands of the Russian elites so they would betray Russia and Putin, as well as to sabotage the upcoming World Cup in Russia. OMG–did you see this one!!! Propaganda on a huge scale. I trust most will see through this. 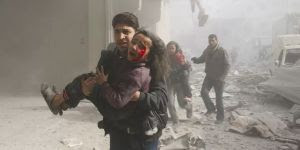 For 7 years Syria has been hell on earth.President Assad’s extermination of his own people has been chillingly surgical: he surrounds towns so civilians can’t leave, cuts off access to food and medicine, and drops bombs, even chemical weapons, on desperate families. 400,000 have died — and he’s just started in on a new target. There’s one reason why Assad’s been able to continue with this destruction: Russia. But now there’s one thing Russia may care about more than Syria: saving the World Cup it hosts this year. This isn’t a boycott — many countries that respect human rights would be happy to host. And switching the venue could help challenge the infamous corruption of FIFA, the football governing body that is widely rumored to have been bribed by Russia to host the games in the first place! Russia has vetoed all efforts to stop Syria’s carnage, ignored sanctions, and violated UN agreements it signed. But the World Cup finally gives us some leverage. And pressure is building right now — since the UK just announced they won’t go, we can get others to follow. Famous footballers Lionel Messi and Cristiano Ronaldo have spoken out about the horrors of Syria, and many teams and governments are uncomfortable condoning Russia’s violence at the World Cup. This is a call to them to speak up for basic humanity. If enough of us join, we can do this! We’ve done this before — when Bahrain brutally cracked down on protesters, Avaaz built a massive campaign, caused a media stir, a legendary driver spoke out, and Formula 1 was cancelled. Some say we shouldn’t mix sports in this horror. But sport is a forum for peace and good. It shouldn’t be used to shower accolades on war criminals. Let’s unite to show we won’t cheer in Russian stadiums while their Air Force bombs and starves babies to death in Syria. For Putin, the World Cup is not about football but global respect (The Spectator) https://www.spectator.co.uk/2018/01/for-putin-the-world-cup-is-not-about-football-but-global-respect..
Avaaz is a 46-million-person global campaign network that works to ensure that the views and values of the world’s people shape global decision-making. (“Avaaz” means “voice” or “song” in many languages.) Avaaz members live in every nation of the world; our team is spread across 18 countries on 6 continents and operates in 17 languages. Learn about some of Avaaz’s biggest campaigns here, or follow us on Facebook or Twitter. To contact Avaaz, write to us at https://www.avaaz.org/en/contact/?footer or call us at +1-888-922-8229 (US). Sadly, these “public service announcement” campaigns are easily organized by deep state dark forces intent on preserving their old fear-greed paradigm. They so blatantly lie with not a shred of evidence to back up their bogus claims, they will lose credibility as more awaken to the scam. It’s easy to see who’s behind this, in plain sight, often with full disclosure right on the bottom of their ad: Avaaz is a 46-million-person global campaign network that works to ensure that the views and values of the world’s people shape global decision-making. Evil elites with their globalist agenda want to institute a New World Order which they are the sole controllers of humanity, squashing spirit, individuality and creativity… circa Orwell’s 1984. Awareness is the key to overcoming any kind of oppression. It’s all a mind construct anyway, project the reality we wish to experience. We are the Earth Shifters, there’s no prison or limits except for the ones we impose on ourselves. Any more questions on THE TIMING OF THE WHOLE THING? And another thing! The PLOT TO EXPEL RUSSIA FROM THE UN SECURITY COUNCIL, which US/UK/France have been working on for 2 years, is just another MEANS of humiliating Russia, attempting to ensure the elites betray PUTIN and influencing RUSSIAN ELECTION 2018! Get it finally that the ultimate GOAL is sabotaging Russia’s work as the Global Balancer. The Security Council stunt is just one of the MEANS, not the GOAL!!! Earth Shift Report 21: PUTIN 2018 & RUSSIAN ELECTION! Great Balancer Weekly: Lavrov opens up and Putin jokes; are Russians too tolerant? This is a pilot for the new FuturisTrendcast Feature: GREAT BALANCER WEEKLY. The official announcements of new features coming next week! Pilots for other amazing new FT Features COMING UP! HUGE EARLY BIRD & PATREON DISCOUNTS! EARLY BIRD SIGN UP OPEN (Feb 6 – Mar 1, 2018)! Follow LADA RAY ON PATREON!